All of our body scrubs are hand-crafted by us and contain a plethora of skin-nourishing oils. They will leave skin feeling exfoliated, remove dead skin cells, rejuvenate and fully moisturize dull skin. 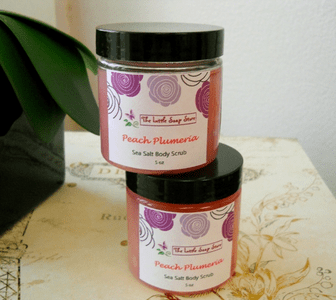 Our body scrubs are made with all natural ingredients. No harsh dyes, preservative, or chemicals. All oils used are cosmetic grade.